Dr. J. Charles Mace is a board certified Neurosurgeon affiliated with CoxHealth in Springfield, Missouri. A native of Springfield, Missouri, Dr. Charles Mace attended the University of Missouri where he earned his Undergraduate, Graduate and Medical degrees. Upon graduating from medical school with honors, Dr. Mace went on to complete his general surgery internship and neurosurgical residency at the Medical University of South Carolina in Charleston. He served as Chief Resident in Neurological Surgery for the Medical University of South Carolina during his last year there. In 2001, Dr. Mace obtained his Board Certification from the American Board of Neurological Surgery. In 1999, Dr. Mace returned to Springfield and entered into private practice, ultimately joining Springfield Neurological and Spine Institute. In 2001. 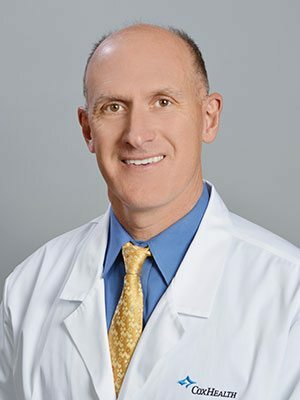 Dr. Mace serves as a Clinical Instructor for the University of Missouri’s Division of Neurological Surgery and is a member of the Congress of Neurological Surgeons, American Association of Neurological Surgeons, North American Spine Society, Southern Neurosurgical Society, and a Fellow of the American College of Surgeons. He is past president of the Southwest Missouri Chapter of the American College of Surgeons and past president of CoxHealth medical staff.